a 12Mp 2x tele-module for zoom shots and a 16Mp super-wide-angle with a 117-degree field of view. The autofocus system uses a mix of PDAF, laser, and contrast detection. If you can see the photo above, the higher the score means the better the image quality. 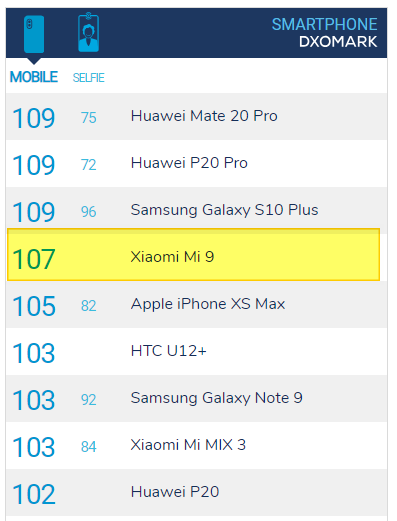 Xiami Mi 9 earned the top 4th seed in the mobile score of 107 just behind the best camera-quality smartphones, Huawei Mate 20 Pro, Huawei P20 Pro, and Samsung Galaxy S10 Plus, and thus defeating the noted high-end smartphones Apple iPhone XS Max and Samsung Galaxy Note 9. 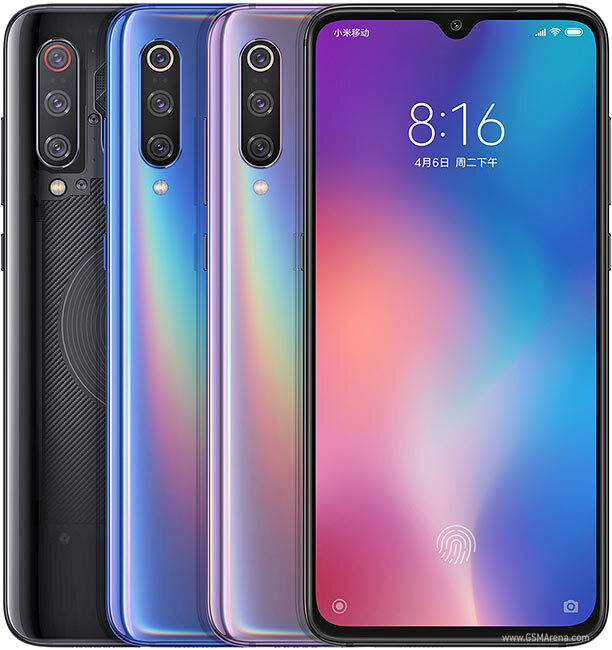 DxOMark Mobile score of 107 points. Its Photo score of 112 points is excellent. DxOMark is the leading source of independent image quality measurements and ratings for the smartphone, camera, and lens since 2008. DxOMark engineers capture and evaluate over 1500 test images and more than 2 hours of video both in controlled lab environments and in natural indoor and outdoor scenes, using the camera’s default settings.